From the latest LED systems to the traditional incandescent choices, here at All Phaze Irrigation we deliver exactly what homeowners envision for their Tierra Verde landscape lighting. Our mission is to create the most energy efficient lighting system while maintaining the highest level of quality and reliability. As part of our pro design we offer fixtures for virtually every outdoor application. 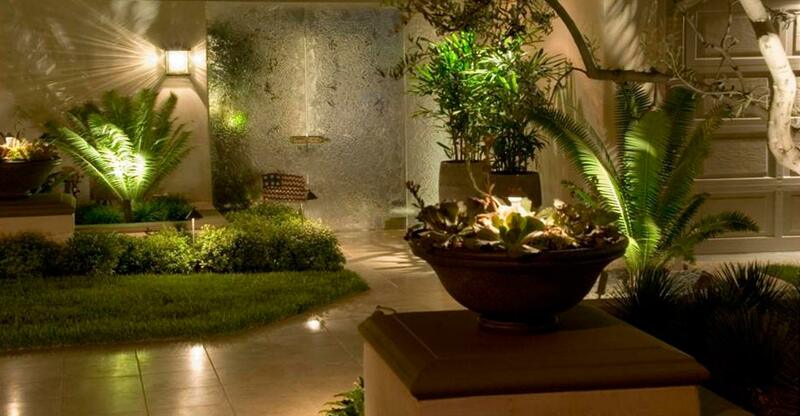 From low profile landscapes to decorative path lights, water features, patios/decks, widespread an accent lighting. All the products we install are durable, innovative and engineered for optimum all weather performance. A beautiful landscape starts with a professional landscape lighting designer and lighting installer. Every property is unique and requires a custom design that not only compliments a property’s landscape and architecture, but highlights the unique characteristics of the clients themselves. You’re looking for understated accent lights, we work with you to create an ambiance that fits your personality and tastes. Quality is the secret to trouble free years of enjoyment. We only use LED lamps and fixtures and we offer a large variety of outdoor lighting options. A dark outdoor area can really put a damper on a party, get-together, or romantic evening. Wouldn’t it be nice to enjoy a warm summer evening outside with friends? What about bundling up next to a crackling outdoor fire pit and enjoying hot chocolate with your family? This is all possible with elegant outdoor lighting. Our lighting is soft and subtle, perfect for any night of the year. 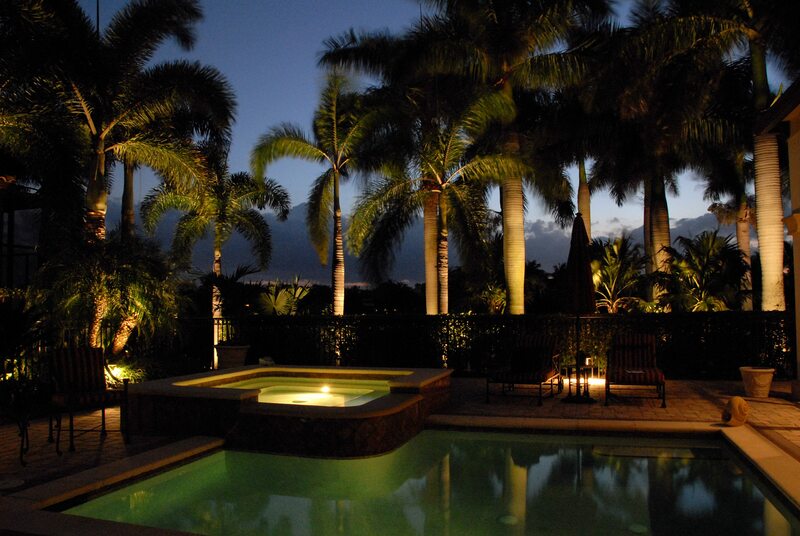 All Phaze Irrigation also specializes in lighting pools, fountains, and water features. Because water and electricity do not mix well, these structures require special attention. We are electricians as well as landscape contractors. Bryan will work with you to determine the best way to accent these features. We use state-of-the-art LED lights and fiber optic light sources. These types of lights work well around water and can be submerged, yet easily accessible for maintenance. We can take care of the lighting needs in commercial areas as well. HOA common areas, restaurants, and hotels are just some of the projects we do very well. We partner with property managers, restaurant owners, architects, and landscape designers who appreciate and value our lighting systems and services. At All Phaze Irrigation, we can put together a comprehensive plan for your business that meets your expectations.